When investing in the efficiency and performance of your commercial facility, you need to know that you are getting the most out of your budget. At Texas Electrical, we are a fully insured, licensed team of Master Electricians and state-certified experts that take great pride in delivering superior results for electrical, lighting, signs, and more. 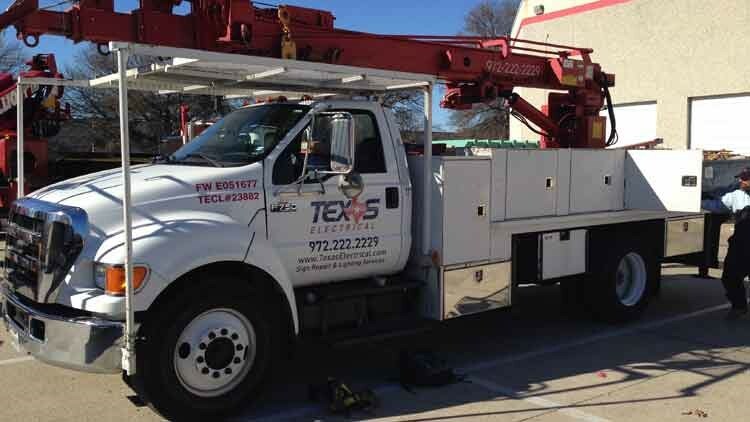 The professionals at Texas Electrical are here to provide you with the full-service support necessary to keep your facility safe, stylish, and running efficiently. With our team by your side, you’ll know that you’re getting the highest-quality work—backed by our company-wide commitment to exceeding the expectations of our clients with unparalleled service—every time. Call today to learn more about our warranty coverage and the products and services we offer, or simply fill out our online form right away to request a consultation and free quote for your electrical, lighting, and sign needs!